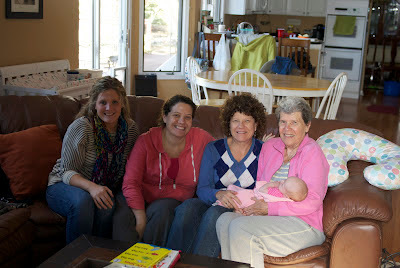 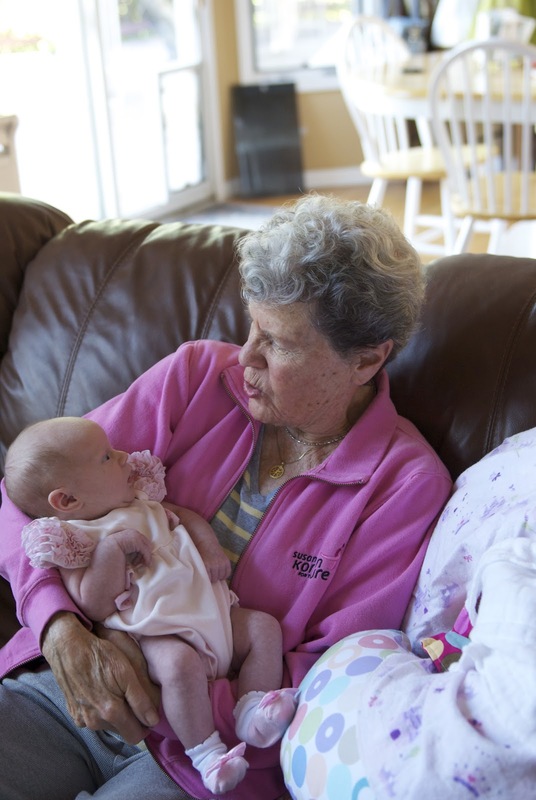 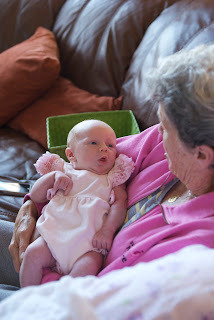 Last weekend, Eloise got to meet her Great Grandma Fitz for the first time. 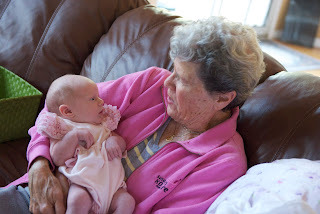 They were both captivated with each other. 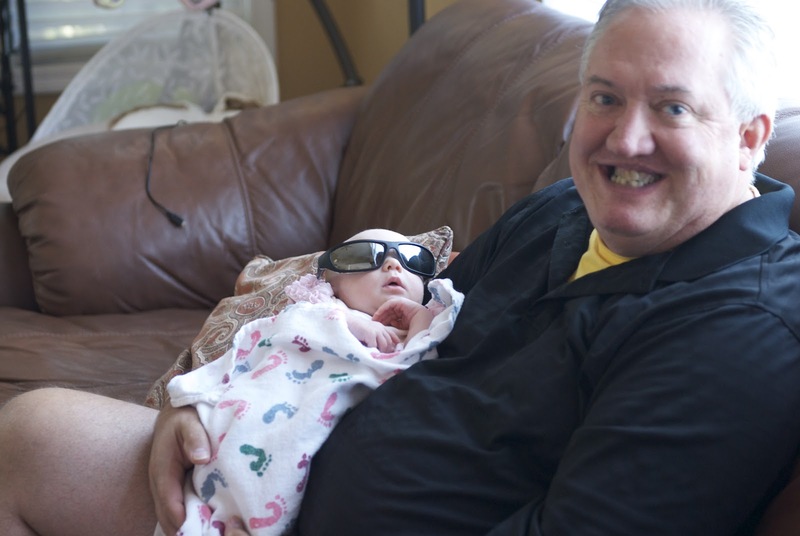 Who knew that Eloise could sport Grandpa Kevin's sunglasses so well?